With the leap up to MS Office 2013 at work I have discovered the “joys” of the ribbon. After a while I have decided that I can live with it, everything just takes more time – where was that; and, where can they have hidden it now. Posted in: Odds & Ends. A lot has been written lately about passwords, and about big hacks on websites that have revealed passwords. I won’t link out to them because the problem isn’t going anywhere and there will be a fresh batch before you know it! There are a lot of different points of view about what a password should look like and contain. The general consensus is that they should contain upper and lower case, numbers and special characters, and the same password should not be used across all websites. There should be a segregation of passwords across types of website; banking and news site passwords should be very different. Once you get past signing in to a couple of websites things have got pretty unmanageable, especially as each one has its own rules about what sort of characters you can have in that password. How do you remember which password belongs to that site? Normally this question isn’t answered. The best thing that I have read on the subject is Password Security: Why the horse battery staple is not correct [^] – head over and read it, I’ll wait. In that article, Diogo Mónica says that our passwords should be unique and strong, but we should not be trying to remember all of them. This is a solved problem, we should be using a password manager instead. Put a good strong password on the file and encrypt it, and remember that one password, then no-one except you can get to those passwords. There is usually space to store other details for each sign-on as well, like the email address or mobile number that you used when you created the account. Another good thing about password managers is that they will generate strong passwords for you based on the selectable criteria – upper and lower case, spaces, numbers, special characters and length. Once you have tried a password manager you won’t want to go back to the way you are doing it now. There are password managers for all of the operating systems that you are likely to be using, and some integrate into your browser as well. If you are using many devices (computer, laptop, mobile, tablet …) combine the password manager with a free online syncing service like Dropbox (Referral Link, help me earn more free space) [^], then all of your passwords are up-to-date and available all of the time. Teddy Bears feature here occasionally. And one thing that we have learnt is that they are not as sweet and innocent as they want us to believe. 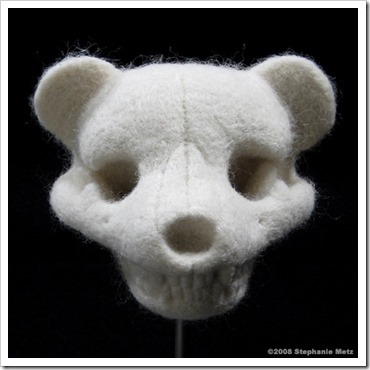 Now we have evidence, a real teddy bear skull! And you thought that head was full of stuffing – do not be fooled. If you want to go on a picnic then Stephanie Metz’s Teddy Bear Natural History series is something that you need to see! Posted in: LinkBlog, Strange Creatures. At last a website that understands the way that I think. 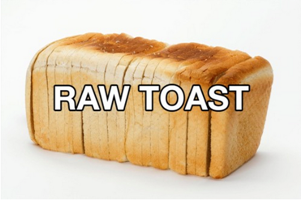 Superlinguo has a post suggesting alternative names for everyday things [^]; bread is raw toast, and kittens are cat puppies. That all makes way more sense, and confuses people a little bit.